This is a post I originally wrote for UNiDAYS way back when and I have recently rediscovered my rings and couldn't believe I hadn't shared it with you! 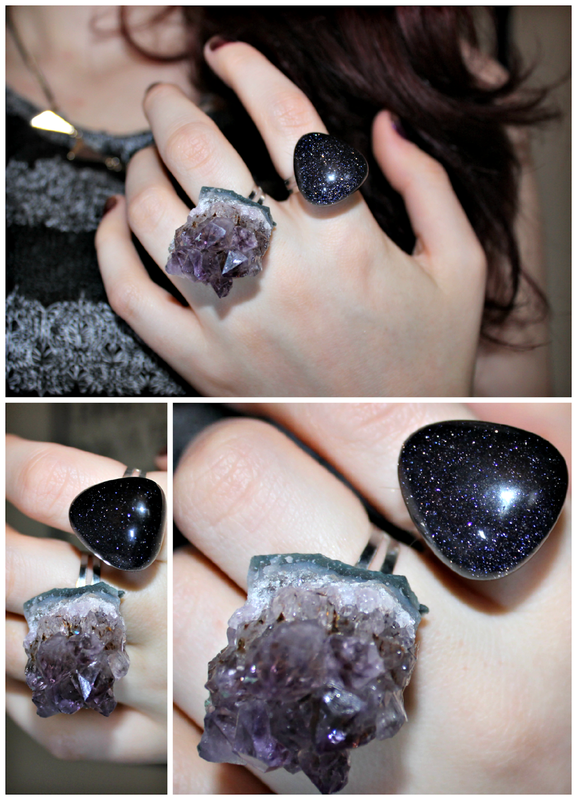 Gemstone rings are all the rage at the moment. They're the perfect unique and edgy accessory. The only problem is they can get a little pricey! You can get beautiful raw or rough cut gems like this Raw Amethyst Ring over at Ahalife that retails for an astounding $85! Or smooth cut beauties like this Premium Statement Stone Ring from Topshop for £35. Being the budget conscious blogger that I am, I couldn't not get in on this trend but I flat out refuse to pay such a price tag for what is essentially a glorified rock! Here's how I made mine for just £1.10 a piece. AND you can personalise them to your style and taste too too! I purchased my gemstones from an alternative store, they were just £1 each and I had an entire range to choose from. Some were great for bringing luck or healing and would be adorable little gifts to make and send to a friend. In the end, I just chose these because I thought they were pretty. 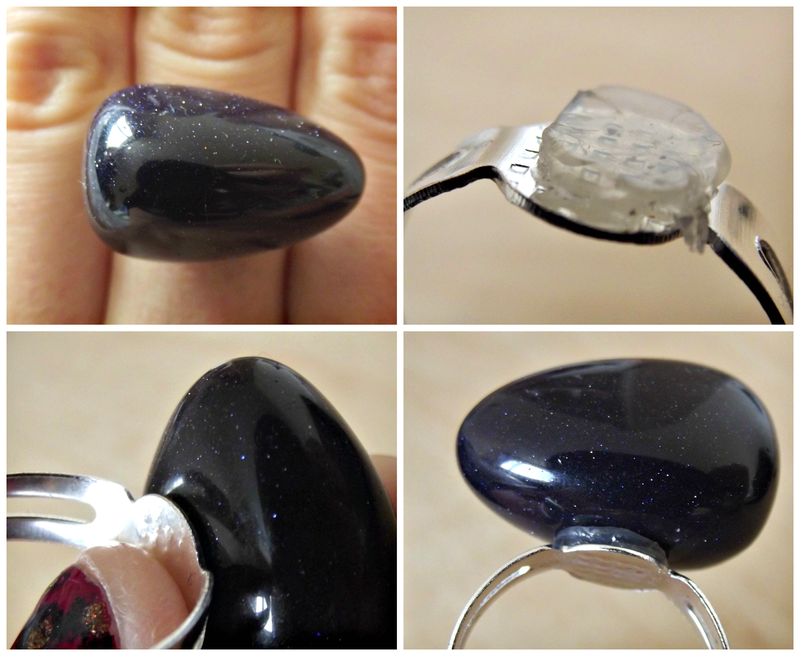 Mine are both Blue Goldstone, they're infused with flecks of copper which gives them their beautiful shimmer. I found a pack of twenty adjustable silver rings with a 6mm pad for less than £2 on eBay, and they were delivered right to my door in just two days. Bargain! Or you can find them in your local craft store. 1. Firstly you want to work out how you want to position your ring. I found this easiest to do by finding a smooth flat side and laying it across my finger until I found a position I liked. 2. 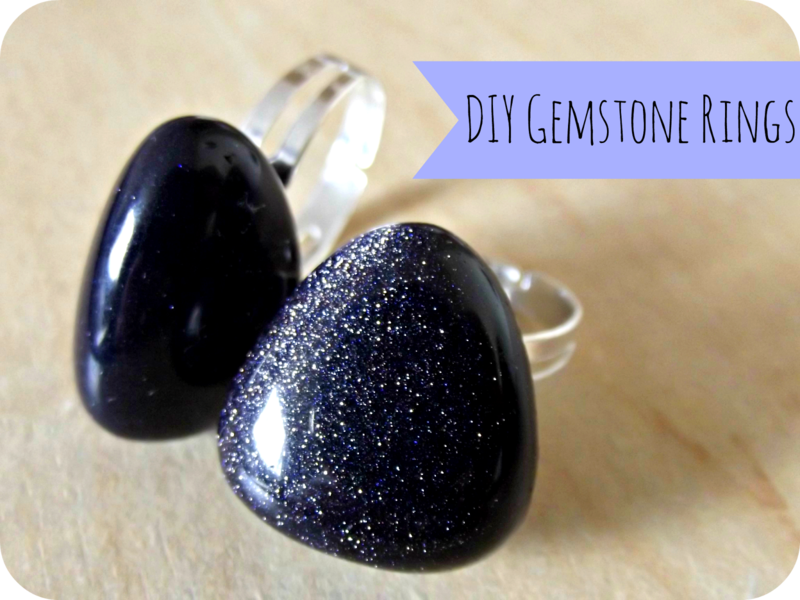 Apply a layer glue (roughly 2-3mm) to the entire of the ring back. 3. Press and hold the ring back to the smooth flat side of the gemstone until throughly cool. This bit is essential as the first time I got a little over excited and the ring dropped off in minutes! If this gets a little messy don't worry - it's on the underside of the ring so no one will see it. 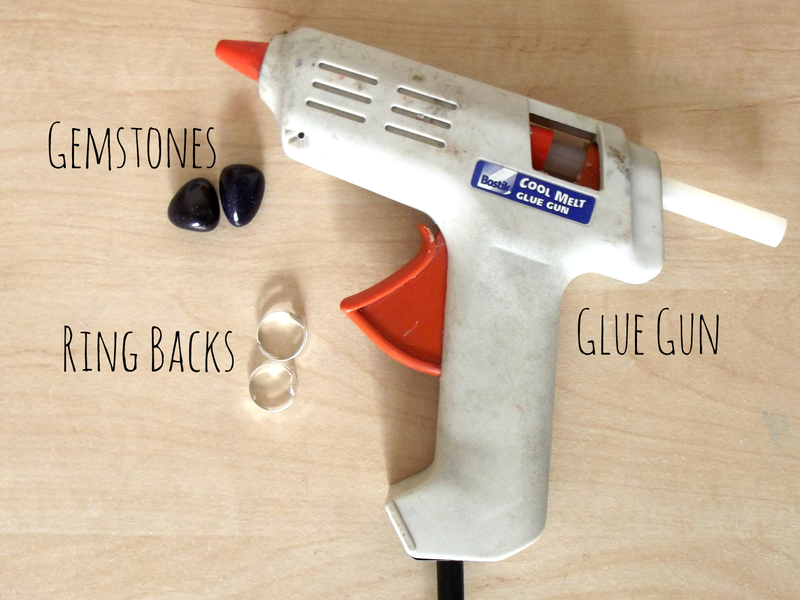 You can always remove excess glue at a later stage. That's it - you're done! Wear your new ring with pride! Don't forget to stay tuned next week for another fabulous DIY! 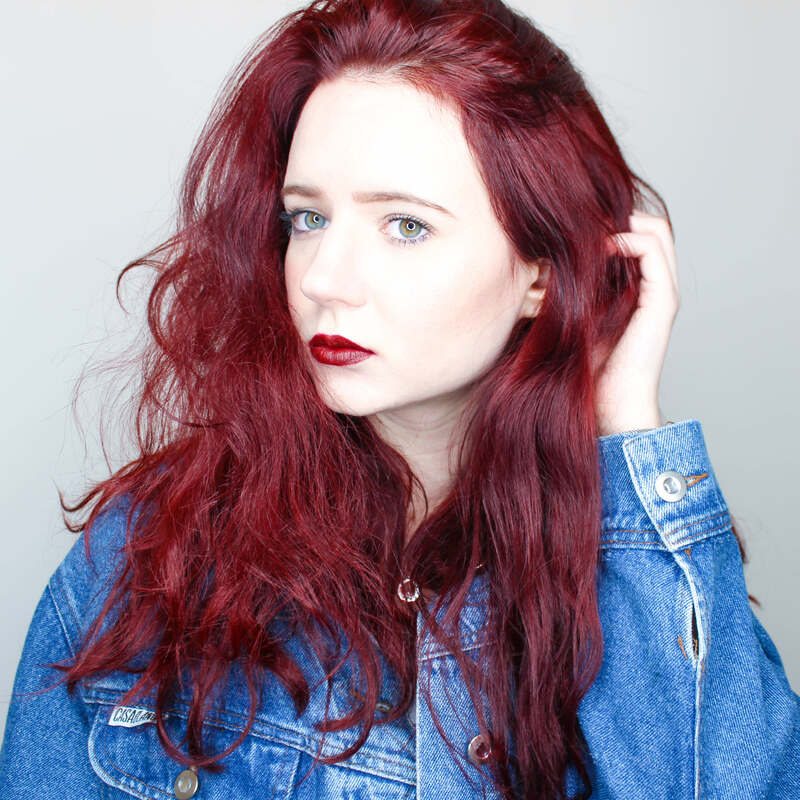 As always, don't forget to tweet me your pictures @charleylucy - I would love to see what you make!